A jewel of a residential community, with treelined avenues and lush parks, The Kingsway is a world apart. Sip a coffee with a friend at a nearby café, bike along the riverside, shop for freshly baked bread at a local artisan bakery or pick up fresh fruit on your way home. This is a sought-after neighborhood designed for those who like to live well. Welcome to 293 The Kingsway. A luxury condominium development showcasing a lifestyle enriched with quality amenities and service, the largest private fitness studio in the area, an expansive rooftop terrace, cozy lounges, concierge service, a pet spa and more. Live close to shopping, restaurants, parks and trails, with easy transit connections to downtown, uptown and around town. 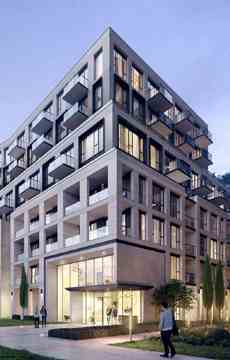 293 The Kingsway Condos is a new condo development by Malen Capital and Benvenuto Group currently in preconstruction at 293 The Kingsway, Toronto..